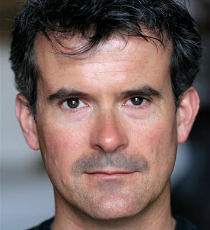 Nick Fletcher is an actor whose television credits include Silk, Midsomer Murders and Whitechapel. He has appeared on stage in For Services Rendered (Chichester Festival Theatre), Treasure Island (National Theatre) and Public Enemy (Young Vic). Nick’s voice has also featured in video game Company of Heroes 2.